I'm not really sure what inspired this look. 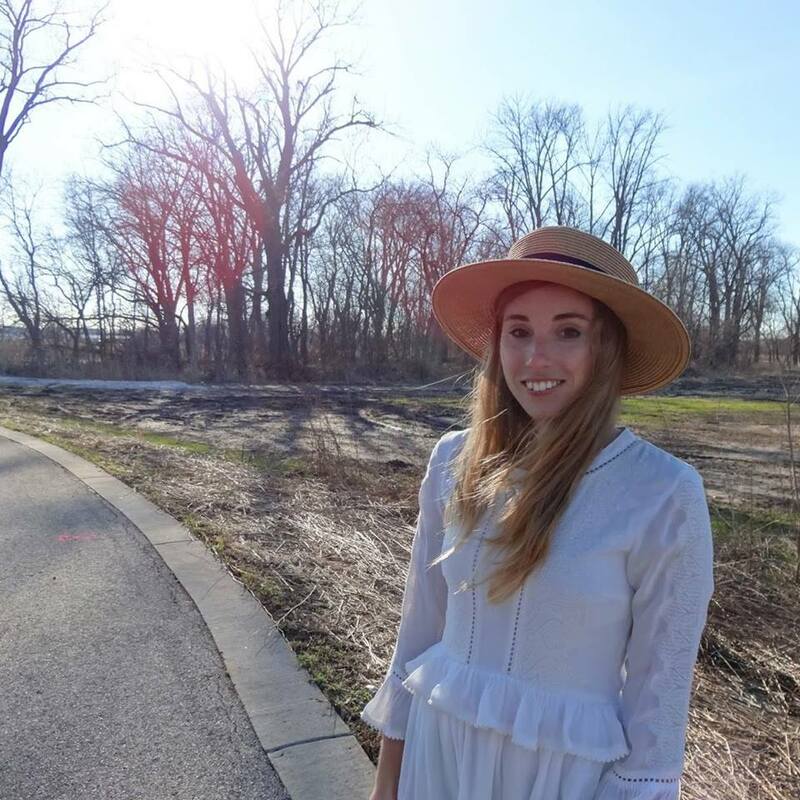 I got this dress and had something completely different in mind (less boho, more victorian). I saw this dress on Rosegal and wanted to try something really different. I must say, I love the end result of all of these pieces together. The dress was maxi-length but I hemmed it to midi-length, so you can see the boots better. It's a really unusual color velvet. That's what inspired me to pair it with these gold and black accessories. 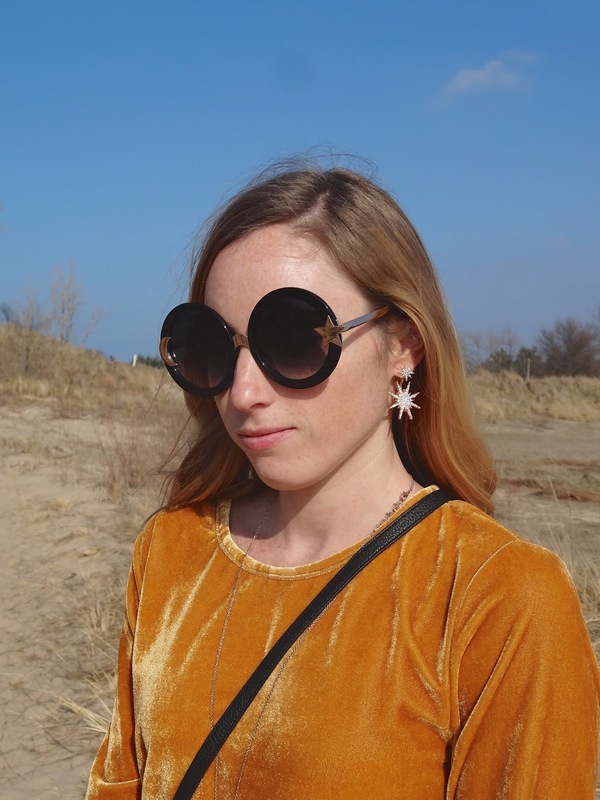 I'm wearing these star earrings, a moon necklace, and these cool sunglasses. I think I went over the top a bit with the star and moon thing, but that was because of my lack of accessories. I just got the sunglasses in from Zero UV and was going to return them. They are too large on my small head. I ended up missing the return deadline so I just kept them. I actually love how they look with my new shorter hair. I will be wearing them a lot more. I guess I just changed my mind. Let me know what you think of this outfit. Would you wear it? yes, you're right...I didn't see a lot of velvet dresses in this colour. love how you styled it! perfect accessories. you look fabulous...this boho chic vibe suits you so well.